Is it me? Or is this just not a very good photo to even take, let alone publish? 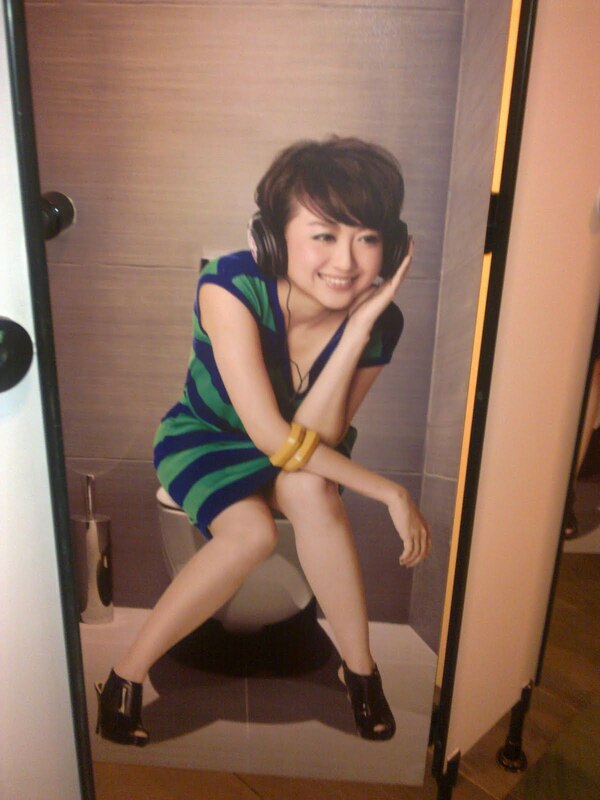 This was taken in the cinema washroom at e@Curve.. There's a couple of different images, all pasted on the cubicle doors, and the entrance.. A guy version is on the men's room.. Hmmmmmmm... Lol.. In the now fairly dated slang of Australia we might have said that's a picture of a Sheila on a Dunny. Clever use of controversial pictures here Calista. I suppose some forms of photography are all about "pushing the boundaries." A.B. Haha.. I get you! Heard the saying before.. Kinda random boundaries they're pushing tho.. Lol..
Transform Cambodia and Dorm Visits!